An Airbus A330 widebody painted in the colors of Nordwind Airlines has been spotted arriving at Moscow’s Sheremetyevo airport. The aircraft will be the first of the type in the Russian charter carrier’s fleet. The А330-200, registered as VP-BYU, is reportedly 6.3 years old and was previously operated by Turkish Airlines and Brazil’s TAM Linhas Aereas (now part of LATAM). Nordwind is expecting delivery of another A330 in July. The carrier will become the fourth Russian operator of the type after Aeroflot, iFly, and VIM Airlines. 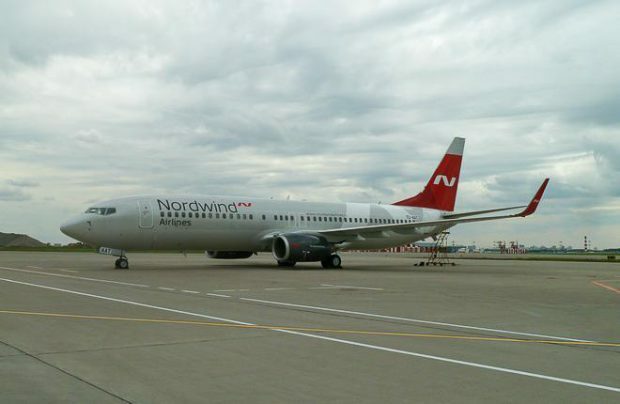 Since the beginning of 2017 Nordwind has received eight Airbus A321 narrowbodies, a Boeing 737-800, and a Boeing 777. Once the newly delivered A330 has been registered in the airline’s name, its total fleet will reach 19 airframes. The operator currently has seven each of 737s and A321s, and four 777s.